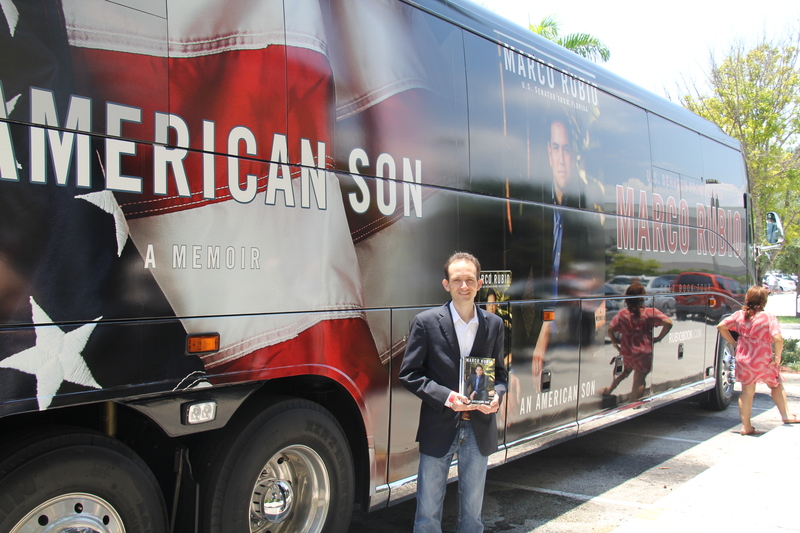 Richard had the pleasure of purchasing two of Senator Marco Rubio’s Books – An American Son – at Marco’s book signing at a Barnes and Noble in Fort Lauderdale today, June 30, 2012. 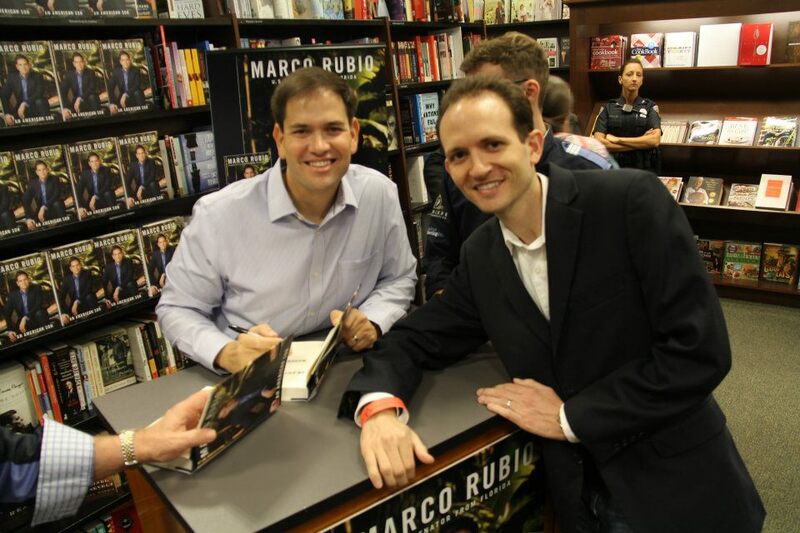 Devastated after his grandfather’s death, Rubio was getting poor grades and struggled to fit in at his high school, where some classmates mocked him as “too American.” But then he buckled down for college and law school, driven by his twin passions for football and politics. He played football at a small college in Mis­souri, then came back to Florida to attend Santa Fe Community College and the University of Florida. He went on to earn his law degree from the University of Miami and took a job at a law firm, which paid him a handsome salary that allowed his father to retire.